In the past I have written about cloud computing and how cloud data storage is the future, and at the moment it is playing a key part in backup technologies, as it is now easier than ever before to backup your data online. One firm that offer online backup services are the Glasgow based Bulldog Backup, they were founded in 2010 and offer backup solutions for both domestic and business users. I read a statistic the other day that almost 50% of businesses reported a loss of important data in the last two years, probably why more and more firms are investing in online data backup systems! The good thing is, online backup solutions are getting easier and easier to use, another reason why more and more people are using them. 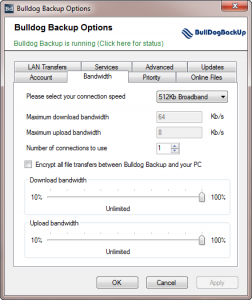 For example, with Bulldog Backup, all you need to is select the package you want to buy, you will then be emailed with your login credentials, then all you need do is login and download the relevant backup client – either Windows or Mac. When you install your backup software you are asked what you want to backed up, you can choose your entire hard disk, or just a few files – say pictures and music for instance. Now you may be thinking that online backup storage is a great idea for most people, but you are on a connection which has a limited monthly allowance – say 40 gigabytes, you can’t afford to run the backup system, in fear of going over your allowance. There is a solution to this too. With most good backup systems nowadays, you can configure how much bandwidth is used for backups, therefore you never go over your limit. You can also choose which files the software should prioritise the backing up of – e.g. give pictures and documents high priority, whilst don’t worry so much about music. The best thing is, once you have backed up your files, you can easily access them from anywhere, using your own personal web portal. Bulldog Backup’s portal has a clean layout and is designed to make listening to audio files and viewing images as easy as possible, all as standard. Therefore you can access all your albums whilst out and about, how cool is that! You can also install mobile apps for both iOS and Android, making it even easier for you to access your files on the move. 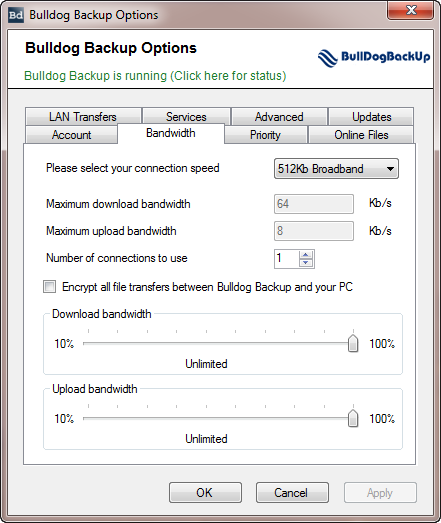 If you want to go up a level Bulldog Backup offer a ‘Pro’ account which has all of the standard features, with the addition of a ‘SmartDrive’ allowing you to sync files across multiple computers. A SmartDrive is basically a drive that appears like any other hard disk on your computer, only anything you store in it is automatically uploaded to the cloud – a pretty cool bit of tech don’t you think? Okay, so you like the idea of online backup, you can see the potential and benefits, but, what about the costs? Well you may be pleasantly surprised, you can start backing up online with Bulldog Backup from only £2.95 a month ($4.63) with a 1 Terabyte Protect account. What do you think about online backup? Will you be investing in it in the near future? 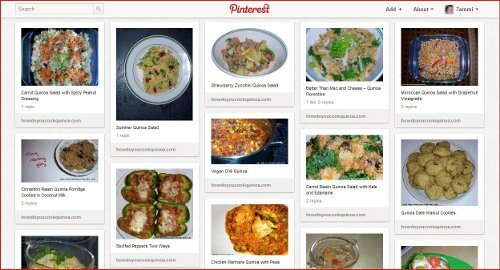 I have not had a lot of experience with Pinterest yet, but one night last week, I put up a bulletin board with photos from recipes on my quinoa blog, and I was impressed with the initial response. I received about a dozen email notifications within minutes. New people were following me or my quinoa recipe board; pinners were repinning my photos. The next day, my analytics showed nineteen new visitors to my blog from Pinterest. Mind you, all I did was “pin” the photos, I didn’t go out looking for followers or asking for people to like me. 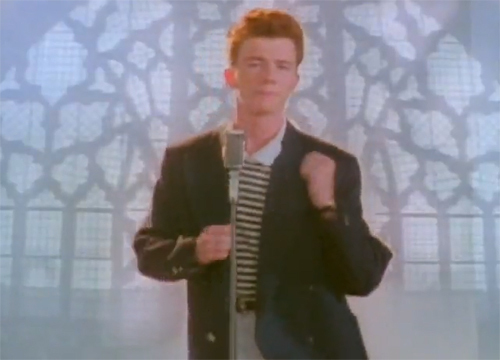 I haven’t figured out how to fully exploit this yet. Pinterest is a very photo-oriented social media sharing site, where each photo is also a link back to an original blog post or web page. Notice that each photo bears the domain name, great for branding. I imagine any blog could benefit from setting up a board for its blog posts. You could even create category boards if you wanted to. Pinning is very easy. You can click and drag a Pin It icon to put in your bookmarks toolbar. Highlight and copy the text you will associate with the photo. Then click Pin It icon in your bookmark toolbar. Verify text is already auto-filled with the text you copied. If not you will have to fill it in. 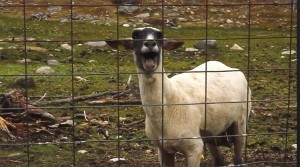 I set up my board in about fifteen minutes. Now that it is in place, I can add pinning to the list of promotional tasks I will do for each new blog post. Pinterest is still in beta and requires an invitation to join. If you would like to test it for organizing your favorite visuals on the web or promoting your blog, please feel to ask in the comments. I will send a Pinterest invite to the email you use to comment. If you have experience using Pinterest to drive traffic to your blog, please comment below and let us know whether you feel it adds value.